College opens up a whole new world to most teens–a world of learning, experience, and financial responsibility. Suddenly credit card companies are setting up stands and offering you free t-shirts. You’re thinking about or taking out loans to finance your education. You’re paying for your own clothes & food–or you’re given a limited amount of money for it by your parents. How people react to this world depends a lot on how they were raised. Does she know what balancing a checkbook means? Does she know it’s not limited to checkbooks? Does he realize that if he overdraws his account he’ll be paying $25 in bank fees? In the end, it’s up to the teen him/herself how all this turns out. But as parents, you can work to prepare your children beforehand. I’ve identified 6 months skills and/or habits which are critical to surviving on your own in college and beyond. 1) Spend Less Than You Earn. Spending less than you earn is the root of all personal finance. It can’t be instilled in a child too early (ok, if you’re whispering it in the cradle, that might be too early). From the time a child is old enough to understand numbers and the basic concept of money, emphasize the importance of not spending more than you have. There are two ways to spend less than you earn. One is to take what you earn just spend less, the other is to find ways to earn more so you can spend more. It’s key that a child learn about both options and get practice doing both. The second method, earning more, should always be kept in mind as a possibility, but it may be not be feasible at times–such as in college when 40-hour workweeks give place to studies. Ways to teach this include giving a young child an allowance and helping him budget it (see point 2 for more on that) and helping him find ways to earn more if there’s something he really wants. As kids, my sister & I started a “paper & mail collection service” and earned money picking up people’s papers & mail while they were on vacation. 2) Budget and Balance Your Finances. A great place to start here is with an allowance. I got my first allowance when I was about 5 years old. My mother sat me down and helped me split it up into what I could spend right away, what I had to give, and what I had to save. Nowadays balancing a checkbook rarely involves a checkbook register and is more likely to involve collecting receipts for cash purchases, getting the notes on checks you’ve written that month, and logging into online banking accounts. Instead of a pen and paper, you can use a spreadsheet or even budget software. While the old-fashioned way still works, using cooler tools may help your child feel more interested in reconciling her accounts and feel it’s more relevant. 3) Save for Your Future. I learned the value of saving when I got my first allowance. The first thing I saved up for was a box of Tootsie Rolls that my mom wouldn’t buy me. It was a huge box–maybe 100 rolls and I thought it was the best thing ever! I remember squirreling it behind my dresser and eating them for a month. Once a child has an allowance or a way of earning/receiving money (gifts, for instance), you can start teaching them the value of saving and delayed gratification. If your child doesn’t want to save, don’t force him at an early age–just point out that because he’s spending the money on X now, it means he won’t be able to buy Y for even longer. One way to help a child want to save is to discuss her goals with her and get excited about them too. My parents were very supportive when I wanted to save up to buy a violin and again to go to Europe. If your child doesn’t want to save and doesn’t really want anything in the future (at this point), try drawing her out and asking what she’d like to do or be able to have if she could afford it. If she can achieve higher goals (such as a decent violin), encourage her to set them. Some people don’t start saving because they simply don’t believe they could make it–reassurance that they can may make a huge difference. 4) Save for Retirement and Use Basic Investment Vehicles. 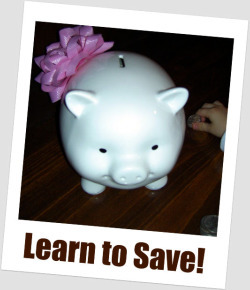 When your child is old enough to have a job, teach the basics of saving for retirement. Start with compound interest & time. Then explain the benefits of Roth IRAs & IRAs (and 401(k)s, though she won’t be eligible at most teen jobs). Don’t force your child to save for retirement, but tell her that she can and how to do so. This is also a good time to learn the power of higher-interest checking accounts and CDs. If she has savings goals that’ll take more than 6 months, it may be a good chance to earn a little extra on the money. 5) Understand Debit, Credit & Interest. ATMs & debit cards don’t work unless there’s money in the account. Trying to use them if they don’t results in them not working or you having to pay extra money. Consider showing him the balance on your ATM receipt. Credit cards have to be paid off at the end of the cycle (show him how you write a check or pay online). Credit is paying for people to lend you money so you can spend it on something. This means that if you spend $500 on a television, the television might actually cost you $650, unless you pay it off right away. You have to read the fine print (as he gets older, give him an example–when he’s younger, just mention that there is fine print). 6) Use Your Money to Help Others. I’m ambivalent about forcing children to give. I think that when they’re young, it’s something you can work into their allowance. But once a person starts earning her own money, I think she should have the right to decide whether and where to give it. Setting aside part of any allowance you give your child to be given away in turn. Sharing what you, as a family, give to various organizations. My parents were very up-front with their giving–telling us about the organizations they/we were supporting, etc. While I didn’t give as much in my early teens, since I turned 18 I’ve tried to give heavily to a couple groups I care about. What money skills do you wish you had before college? What else would you like to teach your children before setting them loose in the world? Do not take on the financial risk or burdens of your friends. Co-signing may seem like a risk-free thing to you at the time because you love your friend and they will, of course, be responsible, but things go wrong and being responsible for them in those situations can hurt you, your credit, and your friendship. If you are feeling any peer-pressure on the issue, you can always use your parents as an excuse, “My parents would kill me, sorry.” Every parent should support a kid using them in this way. When I was in college I made some of these mistakes and I’ve watched relatives and friends make the same mistakes. Good learning experiences, but sometimes very expensive ones. Great list – even if people only did just ONE of them they’d be well better off than most other crazies out there. A great list and what else can I add besides the obvious: every single high school student should at least be given a speech like this at their graduation. Studenomistâ€™s last blog post: Do Personal Finance Blogs Have You Thinking About Money Too Much? Thank you for sharing this, Mrs. Micah. It’s so important to spend time talking to your kids about money.